Muddled message—is it an EV or not? The Volt might be more affordable than you think. Depending on where you live, there may be additional local and state incentives on top of the federal $7,500 tax credit. The 2011 Chevrolet Volt is an electric car, but drive as far as you want without worry—you won't have to make concessions for the technology onboard. About exactly four years after GM first showed the Volt as a tech-exotic concept, it's going on sale as a real production car. We've driven the 2011 Chevrolet Volt in a variety of conditions, and can report back that the Volt is indeed a real car. GM admits the Volt has evolved from the evocative concept shown at the 2007 Detroit auto show, but it says many cues have come over from the striking concept version. The closed front grille is one hallmark that's carried over visibly into the production version, while the tapered corners up front and clean lines at the back (including a small spoiler) are styled to manage the Volt's aerodynamics. The fact that it also has a revolutionary powertrain that operates as an electric car or a plug-in hybrid—and is the first Chevrolet you can plug into a wall to recharge—could almost be an afterthought. It's that well executed. The Volt may be propelled by electricity. It may plug into a wall socket or a special garage recharger to "refuel." But the new and remarkable compact hatchback also rides and drives quietly, seats four comfortably, and performs briskly. Simply put, the Volt charges up for a range of about 40 miles on battery power only; then the gasoline engine allows another 300 miles or so on top of that. The sole fly in the ointment is the inevitably high early adopter price: $41,000. New auto technology always costs a lot when it first hits the market, and the Volt's lithium-ion battery pack all by itself likely costs half the price of a new 2011 Chevy Cruze subcompact. The exterior styling of the 2011 Chevrolet Volt is downright disappointing for lack of being as revolutionary as the rest of the car; but up close and inside, it's closer to a trendsetter. The Volt concept from several years ago had a radical look to match a radical way of thinking. We wish the 2011 Volt were slightly more distinctive, or revolutionary, in the way of, say, the Toyota Prius, the original Honda Insight, or even the GM EV1. In profile, we feel the shape just isn't as individual as the cars that compare most closely to the Volt, the 2010 Toyota Prius hybrid and the 2011 Nissan Leaf electric car. Like the Volt, each is a five-door hatchback with a low drag coefficient. And is instantly identifiable at 100 paces. We're not sure the Volt is that distinctive. It's not that the Volt is bad-looking—and it certainly gets its share of stares on the road. We just wish it weren't quite so slit-windowed and heavy below the beltline. Up close, however, it's clear that it's a Chevy of a different kind, from the blanked-out simulated twin-bar grille to the high, almost horizontal tailgate with a vertical glass panel for visibility. Inside, the news is better. The Volt's cabin blends the traditional Chevy twin-cockpit appearance with some new touches, including a vehicle information display screen that's head and shoulders above any other Chevy. The 2011 Chevrolet Volt drives like a normal car, and performs briskly at lower speeds. The Volt performs surprisingly close to a normal car. Chevrolet has built a remarkable car with a groundbreaking powertrain, and it almost seems they've gone to great lengths to disguise. They've even tuned the accelerator to behave just like a standard car with an automatic-transmission. If you want to enjoy single-pedal driving, with more braking from the motor system (more like the Tesla Roadster), you have to put the car into a special "Low" mode. In a way, that's a shame. We're all for predictability and not scaring consumers who may be daunted by the idea of new technology. But we wonder a bit whether Chevy may have erred on the side of conservatism. But you don't need to be an entirely conservative driver to enjoy the Volt. It accelerates from 0 to 60 mph in roughly nine seconds, with its punchiest performance from 0 to 40. Top speed is limited to 100 miles per hour. So what's the 2011 Volt like in mixed usage—which is to say, driving on electricity from both the 16-kilowatt-hour battery pack and that provided to the 111-kilowatt motor from the 80-horsepower 1.4-liter gasoline engine powering a 55-kW generator? After 40-or-so miles, when the engine switches on—imperceptibly to the driver but, oddly, just barely noticeable to the front passenger—performance doesn't change. While the Volt might have two very distinct modes of operation, its responsiveness or driving feel isn't any different once it starts burning gasoline. Acceleration from a stop is brisk—we were somehow reassured to see we were still able to spin an inside front wheel when accelerating hard out of a turn—and the steering, handling, and braking aren't as disconnected as you might expect. Especially in near-silent EV operation, the 2011 Chevy Volt certainly doesn't provide the experience of a 'regular' car; but a quiet cabin, simple but well-put-together interior, and top-notch engineering make it very welcoming. In more than 200 miles of driving with the 2011 Chevrolet Volt, we came to appreciate the car's quiet cabin, surprisingly stable handling, and simple, high-quality graphic displays. The Volt's seats are comfortable, with optional leather seating surfaces and some remarkable accent colors. One model had lime green piping and green abstract-patterned plastic door trims, both of which worked far better than we could have guessed. The interior is well put together, without a single rattle or squeak, and body quality and interior trim appeared to be good on the pre-production but saleable vehicles we drove. A shiny white plastic finish for the console remains an option, one we fear may date quickly. Our car's console came in a handsome glossy charcoal, which also avoided the soon-to-be-cliche shiny piano black motif. Put your mother in the 2011 Chevrolet Volt and—except for the neat humming tone as the car boots up and the lack of engine noise—she might never know it had anything different under the hood. Electric cars pose an interesting new challenge to automotive engineers. Minus the noises of a piston engine and its transmission, other sounds—tire roar, wind whistle, even ventilation fans—appear much louder. And the Volt engineers have done a remarkable job in rising to this challenge. Despite their low rolling resistance, tire noise is tolerable (and sometimes the loudest thing you'll hear). As the car accelerates and brakes, the varying power demands are buffered by the battery pack, so the engine can run at a reduced range of speeds, making it quieter. Only occasionally, under high power demand, did the engine rev up and make itself noticeable. With a robust safety-feature set and top ratings from both safety agencies, the 2011 Chevrolet Volt isn't just one of the safest green cars; it's one of the safest among all cars. The 2011 Chevrolet Volt is the first of its kind, including lithium-ion batteries and an all-new powertrain design; so naturally shoppers might be a little suspicious. But it turns out there's absolutely nothing to worry about: With top scores and ratings from both the National Highway Traffic Safety Administration (NHTSA) and the Insurance Institute, the Volt ranks among the safest cars on the market--green or not. GM engineers stress that, despite this car's advanced powertrain, they subjected the Volt to every bit as many accident simulations and real crash tests as any other new car. And they paid special attention to the large T-shaped battery pack that spans below the rear seats and stretches forward through the tunnel, with strengthening beams to transfer crash loads through it to ensure it would not rupture even in severe accidents. The Volt is fitted with eight airbags for its four passengers: Front-seat occupants have front and side bags, plus knee bolsters, while side air curtains stretch the length of the front and rear doors to protect rear-seat riders as well. Traction control, anti-lock brakes, and other electronic control systems keep the car well behaved. Every Volt is fitted as standard with GM's OnStar telecommunications system, including five years of service. The feature set of the 2011 Chevrolet Volt is quite robust, but there’s very little opportunity to make it your own with options. The Volt doesn't have a lengthy list of options; but for its price of $41,000, it includes a long list of standard equipment—in addition, of course, to its leading-edge powertrain—that the 2011 Chevrolet Cruze compact doesn't. That includes a tilting and telescoping steering wheel, automatic climate control, a navigation system, keyless entry and starting, and remote start. The standard Bose sound system includes AM, FM, DVD-ROM, and MP3 playback, voice recognition, Bluetooth connectivity, and pause-and-play capabilities. A 60-GB hard drive is standard, 30 GB of which can be used for personal music storage. XM Satellite Radio with traffic and weather information is also standard. The Volt is offered in six colors, including silver, black, and grey, along with Viridian Joule, a pale green. Crystal Red Metallic Tintcoat and White Diamond Tricoat are extra-cost options. The Volt's lithium-ion battery pack is warrantied for eight years or 100,000 miles, which should reassure owners who choose to buy the car rather than lease it. Other warranties include bumper-to-bumper coverage for 3 years/36,000 miles; roadside assistance for 5 years/100,000 miles; and on the gasoline engine, limited 5-year/100,000-mile coverage as well. 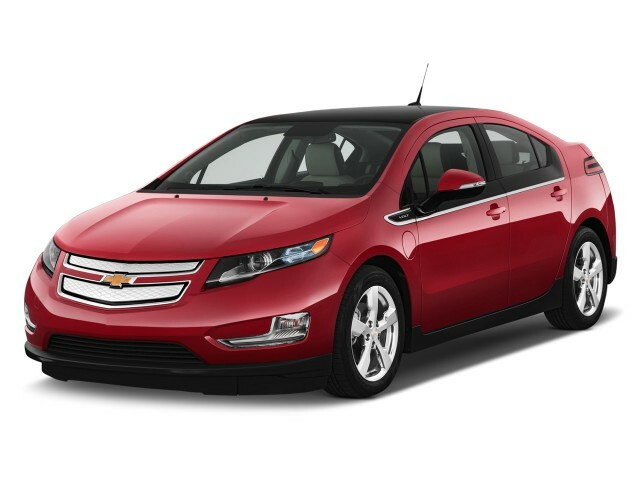 How green is the 2011 Chevy Volt? It depends on how far you drive, how well you keep it charged, and where you charge it. While the Volt is no doubt far more fuel-efficient than any other gasoline vehicle or hybrid vehicle on the market, when driving short daily distances, we consider the Leaf slightly greener as it never has any tailpipe emissions and can go even farther (up to 100 miles) on a charge. Electricity for charging costs far less than gasoline. But in looking at environmental impact, it's less cut-and-dried: If your electricity comes from the oldest, dirtiest coal plants, then it's not a solid step forward; but if it's from wind farms and nuclear plants, then you're probably doing your environment a favor. The Volt's battery takes about 10 to 12 hours to charge with a 120-volt household-style outlet, or just four hours with a 240-volt charger, such as those at charging stations or possible around heavy-duty appliance outlets. What a wonderful ride. Surprising and Smart. 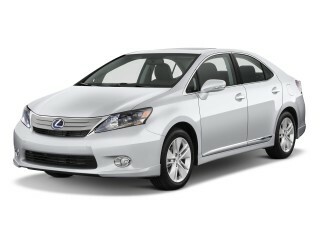 This is one fine car, I hardly ever buy gas for it! Looking for a different year of the Chevrolet Volt?